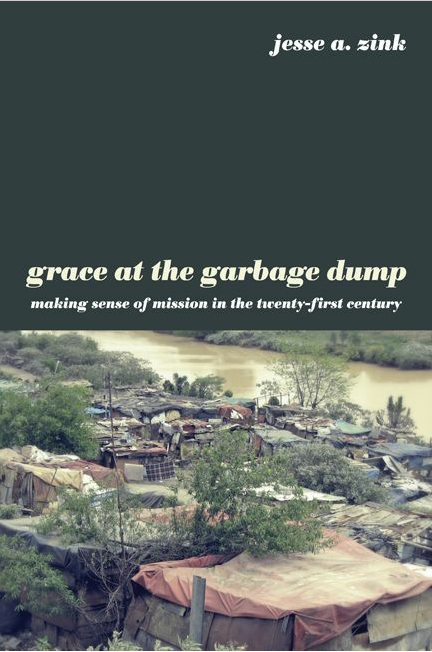 My last BookNotes post honored the Urbana Student Missions Conference held the last week of December and highlighted some of the recent missions-themed books recently released by the always excellent InterVarsity Press. If you have a heart for global concerns and reaching those who have not heard the good news of Christ’s gospel, you surely know the value of reading missions literature. Such books can really be inspiring, even if you don’t have opportunity to head overseas. If you have not studied this topic of missiology, the new year is a good time to make a resolution to bone up a bit, dig deeper, allow good books of this sort to expand your view of the world and the urgency of inviting others to God’s good Kingdom. Those IVP titles are all great ones. Of course they are not the only publishers doing excellent books on world mission, and we thought we’d quickly list a few more from other publishers. Here are a few recent ones culled from our crowded mission shelves. All are recommended, and a few are stunning. 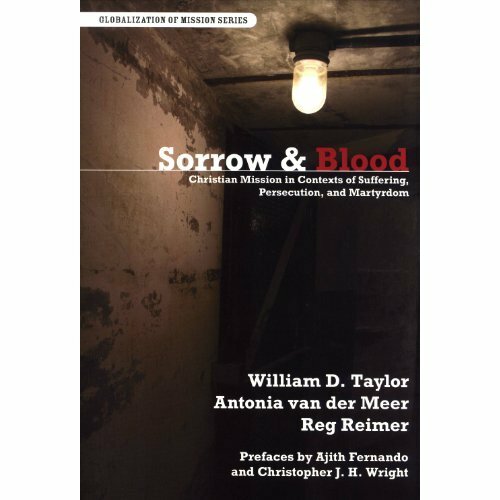 All offered at a BookNotes discount, too. 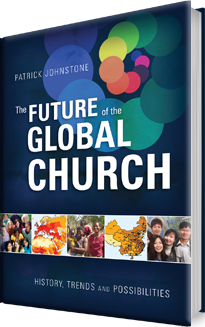 T he Future of the Global Church: History, Trends and Possibilities Patrick Johnstone (Biblica) $40.00 This is truly amazing book, and Johnstone is a very important figure in world missions education in the last 25 years. I hope you know the best-selling and very useful daily prayer guide for countries all over the globe, which he edited, the useful Operation World and the fabulous, colorful, children’s edition, Windows to the World, which offers daily prayers for a week for 52 different countries. We have them both. Mr. Johnstone is the director of the significant WEC and has created what might be the single best resource to get up to speed on the data about the world, the maps and statistics and needs and religions, and how trends may or may not be used by innovative missionary strategists. There are tons of maps and charts, lots of color, it is loaded with stories and ideas and updated information. My, my, this over-sized book is worth every cent, designed to help ordinary folks understand world missions, the needs, the people groups, the trends, and the exciting options for involvement. Johnstone has been at this for fifty years and is doubtlessly the best person on the planet to do a book like this. He focuses clearly on the unfinished task of world evangelization, with a special emphasis on the world’s 12,000 people groups — especially those that have had least exposure to the gospel. This really does offer “a thought-provoking glimpse into likely scenarios humankind may face in the next 40 years.” We are very proud to stock this important global resource and recommend that your church library purchase it. 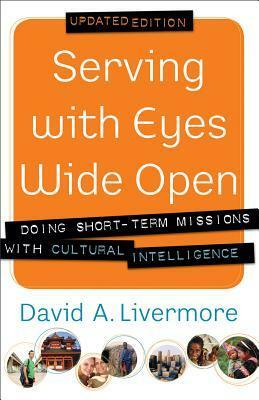 If you have a missions committee, they should have it. It is that important. 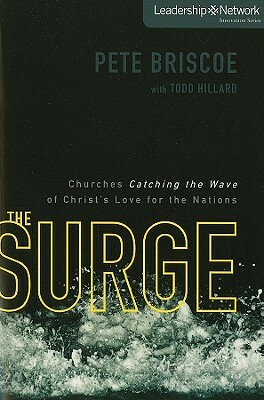 T he Surge: Churches Catching the Wave of Christ’s Love for the Nations Pete Briscoe with Todd Hillard (Zondervan) $18.99 This came out of the “Leadership Network Innovation Series” which suggests it is upbeat, fast-paced, full of both inspiring stories and clarity almost like bullet points for those wanting to quickly learn. This presents an honest appraisal of the state of the Western church, the trends showing the growth of Christianity among the nations of the world and the latest in missions strategies. From how technology can be used to spread the gospel to how to inspire local congregations to send and support more missionaries, from the good and bad in church financial priorities to how you can reach out to international folks in your own communities, this is inspiring and a good overview. It is a nice and useful resource for strategic leaders wanting to join others to underscore the significance of contemporary practices in global outreach and service. Don’t you want your church to be a more dedicated part of God’s surge? 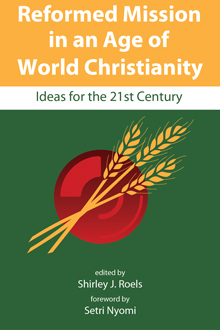 R eformed Mission in an Age of World Christianity: Ideas for the 21st Century edited by Shirley J. Roels (The Calvin Press) $14.95 Even if one is not of the Reformed tradition, this book of speeches from a gathering of mostly Christian Reformed Church leaders will be of great interest. It is fabulous that the major talks were published by this small press at Calvin College in Grand Rapids, MI, and anyone interested in wholistic, theologically sound, missions thinking will be very glad to read it. As the esteemed Joel Carpenter of the Nagel Institute for the Study of World Christianity writes, “The Reformed Christian tradition is not one of the world’s largest or fastest growing, but it has a reputation for lively and strategic Christian thinking. Our times cry out for fresh approaches to Christian mission in the world, and in this book Reformed Christian thinkers from around the world show that they have much to offer.” Listen in to amazing communicators like Richard Mouw, Paul Visser, and John D. Witvliet. Consider the ruminations of important scholars such as Janel Curry (a geographer) and international activists such as the esteemed Ruth Padilla DeBorst (Latin America) and David Lim (Philippines.) Roland Hoksbergen offers an excellent chapter on the global economy, and there is more. This little book has great information and is very istimulating. We are very happy to recommend it. 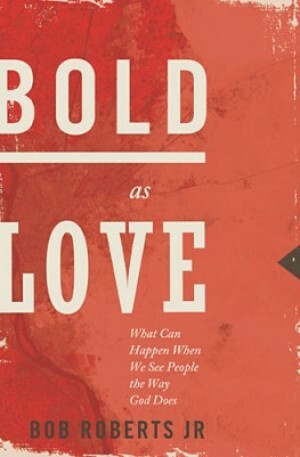 B old as Love: What Can Happen When We See People the Way God Does Bob Roberts, Jr. (Nelson) $16.99 We have been impressed with how this down home Texan preacher has been able to write with such vigor and clarity about how to get local churches involved in global work — for instance, he wrote the excellent Glocalization: How Followers of Jesus Engage a Flat World (Zondervan; $18.99) and another about how ordinary folks can leverage their jobs and professional skills into world mission projects (Real-Time Connections: Linking Your Job with God’s Global Work; Zondervan; $16.99.) Now, in this brand new one he lets it all out, preaches up a storm, inspires us all to care as God does, to reach out, to share grace in bold love. Is it really possible to love everybody as neighbors? Across cultural and religious divides? In the midst of hostilities? Yes. This author says yes. Bob Roberts is quite the evangelical at heart, and his expansive sense of bold love allows him to partner with all sorts of folks. I like this quote by former President Jimmy Carter: “Bold Love is a moving expression of Bob Roberts life’s work in breaking down barriers and promoting greater understanding and reconciliation among Christians, Muslims and Jews.” Wow. I dare you not to get excited by his good work! s is. In what Brian McLaren has called “one part travelogue, one part coming-of-age story, one part spiritual autobiography, and one part reflections on poverty” this is a powerful, powerful story by an excellent writer, anti-poverty activist, and ordained Episcopalian, documenting his years of service with YASC in a shantytown in South Africa. . Bishop Ian Douglas writes that “Jesse is an articulate, passionate, and sophisticated young scholar and activist for God’s global mission of restoration and reconciliation.” This is beautiful, vulnerable, bone-jarring, challenging; there is good writing and provocative discernment of God’s grace in hard places. You won’t forget this. D reams and Visions: Is Jesus Awakening the Muslim World? Tom Doyle (Nelson) $15.99 I bet you have heard of these kinds of stories and wondered. Well, they are not urban legends. It is now well-known, and has been well-documented, that throughout the Middle East (particularly in certain countries, but in most, from Afghanistan to Egypt to Iraq) Muslim people are being awakened in the middle of the night with a singular vision: go find someone to tell about Jesus. I have had first-hand conversations myself with such a person who came to Christian faith (at considerable cost, as you might guess) through a dream. There are articles and sermons and a few books on this; even if you are skeptical of such goings-on, it is hard to explain away the consistency and consequences of these calls to conversion. This is the most recent book, the best documented, and an amazing collection of stories you simply won’t be able to put down. The stories are grouped by country, and there are a few helpful appendices about related topics such as talking about Jesus with Muslims, how to determine if dreams and visions are authentic signs from God, and a bit about the history of Christian/Muslim relations. Wow. 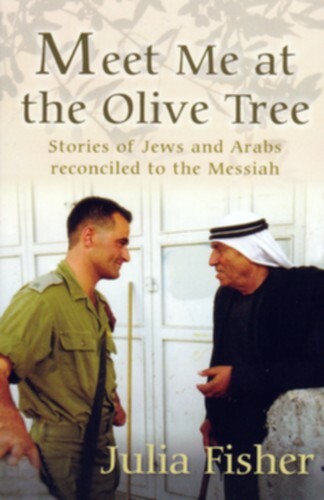 M eet Me At the Olive Tree: Stories of Jews and Arabs Reconciled to the Messiah Julia Fisher (Monarch) $14.99 We have a large selection of books about the Middle East, about evangelism and peacemaking, about the rights of the Palestinians and the frustrations and fears of the Israeli’s. There are great efforts of justice and peacemaking and there are memoirs and policy books about them. 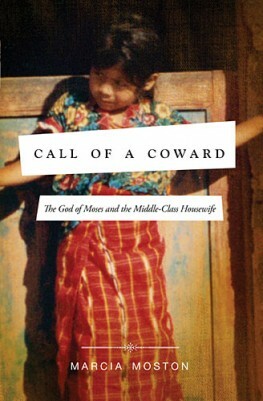 This one is particularly interesting — it breaks all sorts of stereotypes and invites fresh realizations for many of us. There are Jewish followers of Jesus in the region and there are also Arab Christians, of course. One big question is how their political and social differences might be overcome in honest (hard and glorious) awareness of their unity in Christ. The Body of Christ includes Jews and non-Jews, Arab Palestinians and others. This is a heart-warming collection of first hand accounts, coming from Ms Fisher’s popular British radio programs. p; It was years in the making and long-awaited by many.